Nice design, suits for different pool party and beach. Breathable and stretchy, Fits your figure perfectly. Show the world your fabulous tan. Have chest pad, No steel care. Size: S M L XL XXL. Garment Care : Hand wash /machine wash . Drip dry. Different computer display colors differently, actual item color may slightly vary from the images. 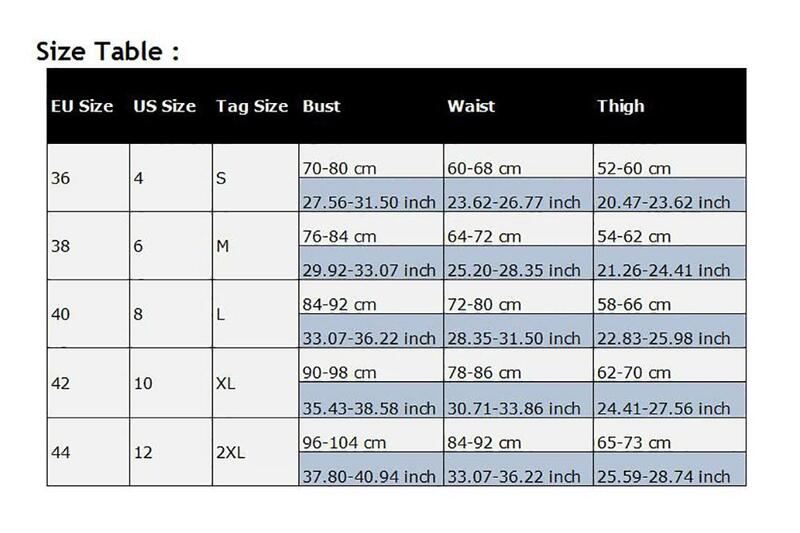 Please compare the detail sizes with yours before you buy! Please allow 1-2cm error due to manual measurement.